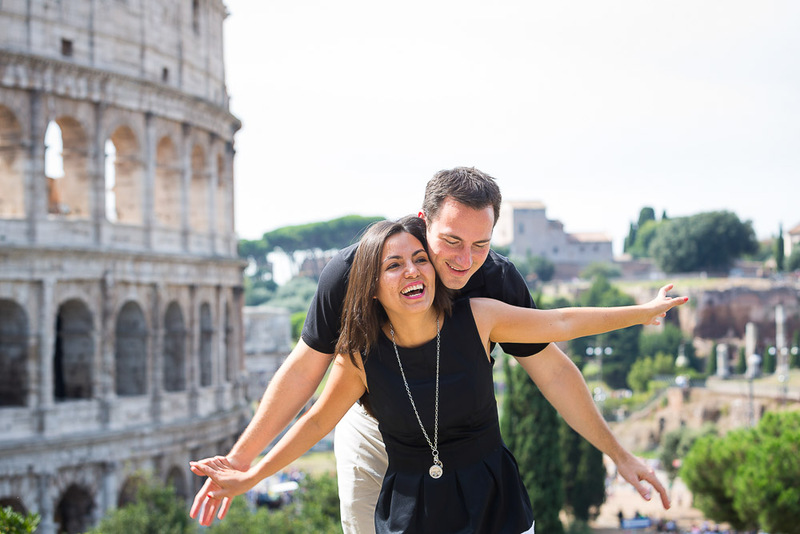 This vacation photo shoot started with a car pickup from Hotel Donatello in Rome. 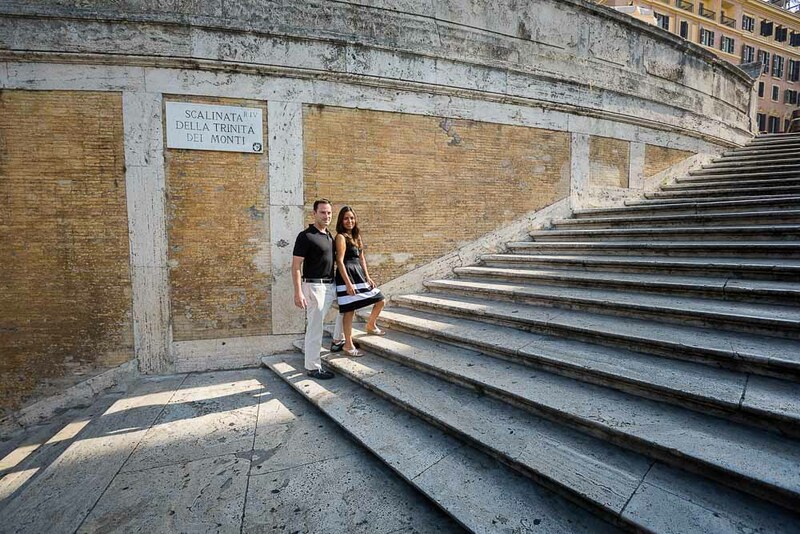 With a comfortable car transfer to the Spanish steps to start the photo shoot. 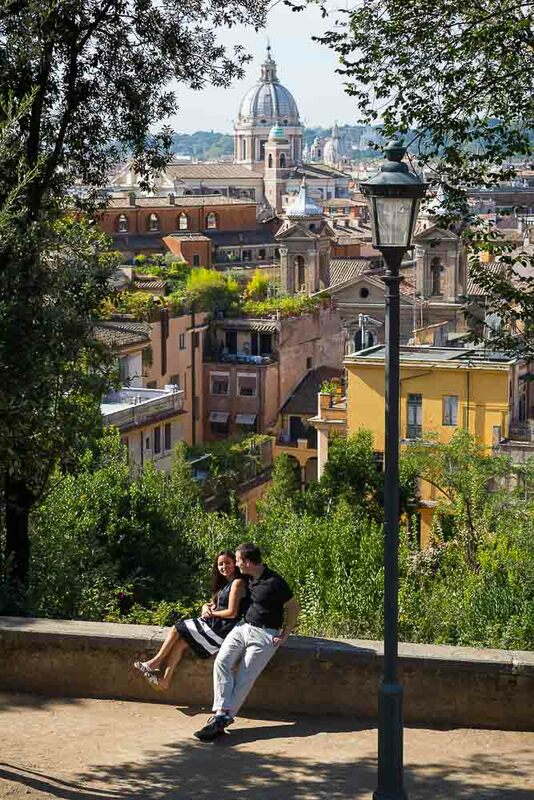 First up on the terrace with a stunning view over the roman skyline. Then down the stairs stopping by the terrace view over Via Condotti. Photographing from a distance in order to capture all the lead away lines. The adjacent Parco del Pincio was our next stop. Taking the car to Park Villa Borghese. A nice location for photography with many different photo ideas to take. 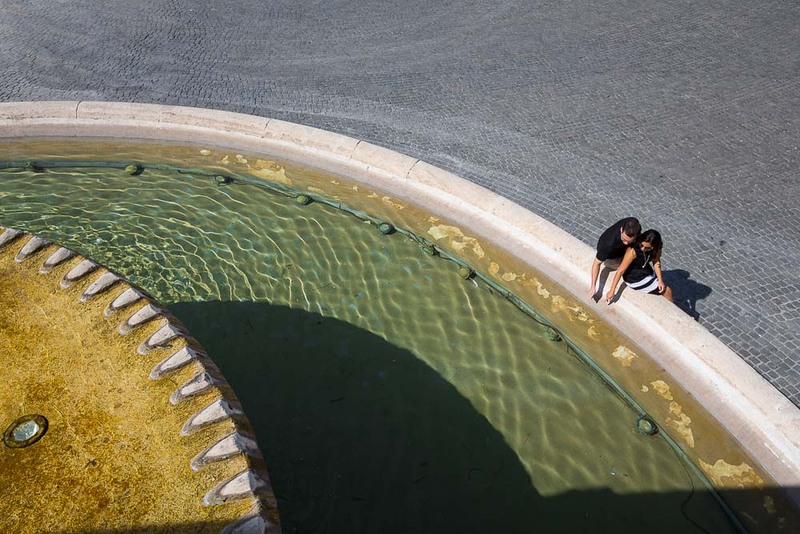 Then we drove down to Piazza del Popolo stopping by one of the beautiful side fountains where the photographer stood above the fountain taking pictures from an aerial point of view. Our last stop was the majestic view over the Roman Colosseum. Photographed from a distance in the background. 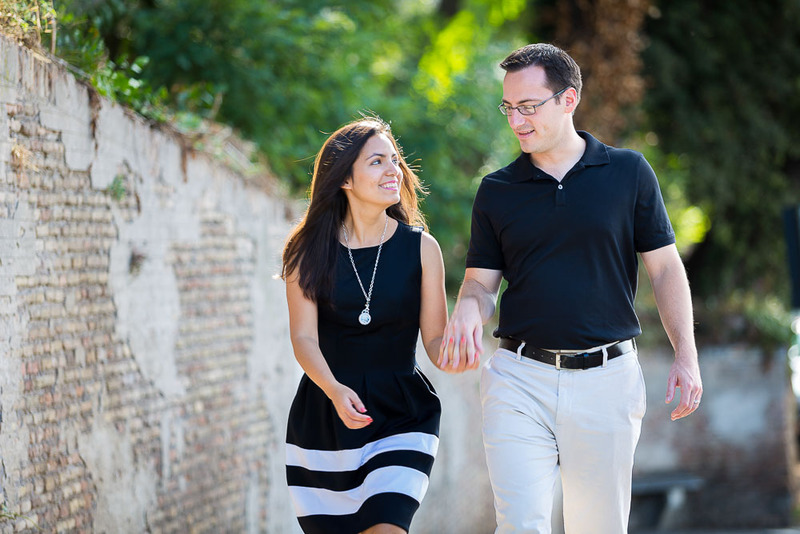 Walking photo tour of Rome. Starting from the center of town and walking all around! The best vacation photography. 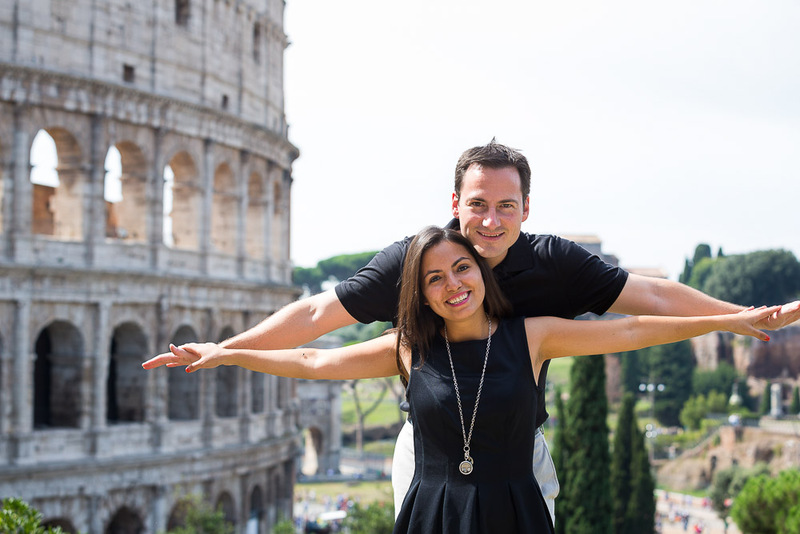 Have creative pictures taken as you visit the city escorted by a professional photographer from the WheretoRome team.